Born in Charleston, South Carolina, pianist, singer and composer Jenna McSwain earned her bachelor’s degree in jazz studies at the University of South Carolina, and went on to earn her master’s degree at the University of Northern Colorado. After graduating, she returned to South Carolina to join the music faculty at her alma mater. As an adjunct professor, she was teaching more than 30 lessons a week, and felt like the local music scene just wasn’t big enough. “I wanted to write and be exposed to a lot of different people and creativity,” she says. The performer’s biggest challenge when she arrived was putting together a band. Eventually finding a solid roster of players, she booked her first gigs at Mojito’s and Three Muses in the Frenchmen Street area. Now, McSwain feels she’s truly part of the New Orleans musician community. She particularly remembers feeling like she was “here” when saxophonist Brad Walker asked her to play with his group at Maison on Frenchmen. “That was a big confirmation for me,” she says. When composing, McSwain balances her musical knowledge with her instincts. “If one takes over more than the other and it still works, that’s good,” she says. 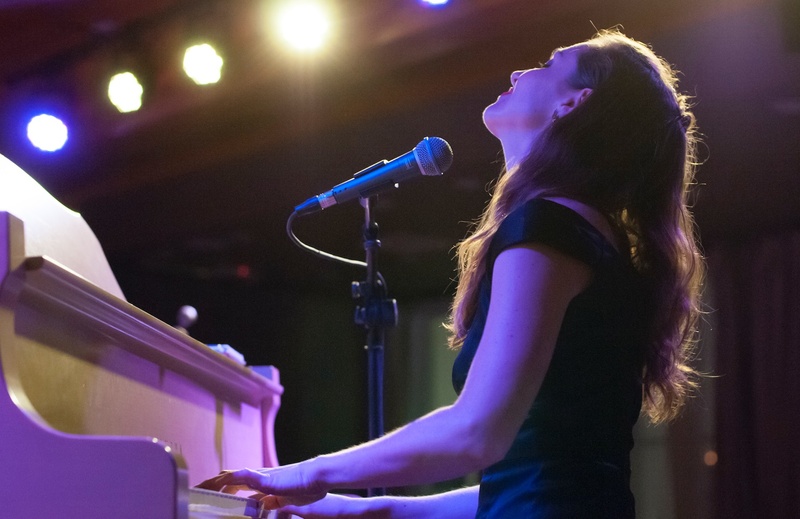 She recently released her debut album, “Wax and Wane,” a polished 9-track record showing off her lively voice, impressive piano chops and thoughtful compositions.